The Condominium Act B.E. 2522 (1979), freehold condominiums allows foreigners to own directly & entitles freehold ownership of a condominium unit including common property to non-Thai citizens. The only limitation to this law is that foreign ownership of the total floor area in a freehold condominium cannot exceed 49%. Buyers will agree payment terms when they sign the sales & purchase agreement for the condominium(s) they wish to purchase. If the buyer is a Non-Resident Thai, i.e. a foreigner without Thai Permanent Residency, the buyer must present a Source of Funds declaration to the corresponding district land office when registering ownership of the title deed. Our team will work with Buyers closely to facilitate this process. It is a straightforward process in which the Buyers will have to remit the funds from their foreign bank accounts into a local Thai bank and clearly state the purpose of the transaction for the purchase of a condominium. Along with the FET and other documents related to your identity, buyers may assign our team to act on their behalf at the land department to enact the unit transfers and issue the Title Deed in their names. There are certain costs that only apply upon transfer of ownership. Transfer fees equivalent to 2% of the official appraised value of the property. Special Business tax (SBT) of 3.3% is to be paid by companies and individuals who wish to sell a property that has been held for less than 5 years. Stamp Duty of approximately 0.5% imposed only in cases where SBT is not applied. Most of the fees are calculated relative to the government’s “tax assessment value of the property” and this value is below market value. As a close estimate for residential sales, expect the total fees and taxes to work out to approximately between 2-3% of the property market value. Usually, these costs are split between the buyer and seller. 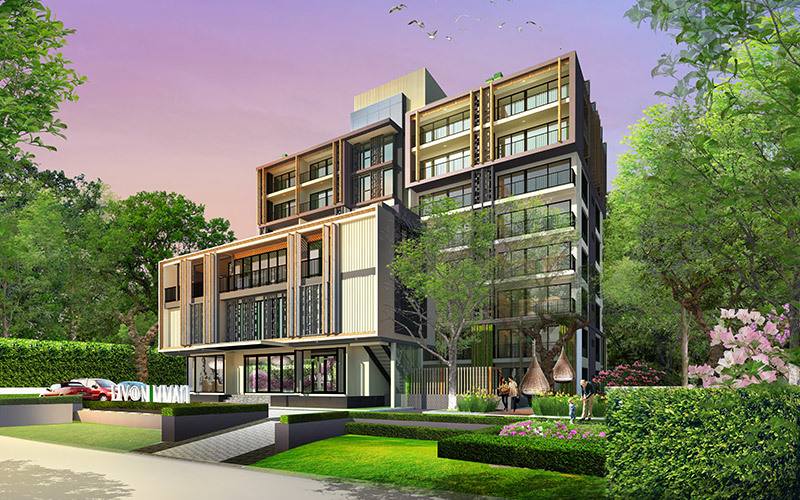 Note that the information on this page is intended to serve as a general guide to the property buying process for foreign (non- Thai) purchasers of condominiums in Thailand. We highly recommend you consult our team and a lawyer to assist you at the time of purchase to eliminate any doubts you may have. The mortgage calculator below is a calculator developed to give you a rough guide to using debt to finance your purchase taking into account the various level of repayments, changing in the financing costs( interest rates) and tenor. Note that this is not a quotation from Lucky Living Co. Ltd or any of our affiliates and does not necessarily reflect current lending policy. Our finance professional will work with you and a host of both local and foreign banks to find you suitable financing package for the purchase of your home. You may contact our team should you require any details.